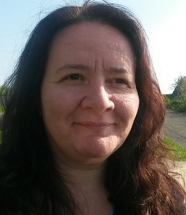 Natasa Milic-Frayling is Professor and Chair of Data Science at the University of Nottingham’s School of Computer Science since 2015. Prior to that, she was a Principal Researcher at Microsoft Research, UK and a Visiting Professor at Queen Mary University of London and University College London. Natasa leads research in designing, prototyping and evaluating information management and communication systems. 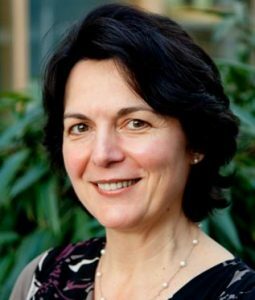 During her tenure at MSR, Natasa served as a Director of Research Partnership, promoting collaboration with innovation partners on strategic challenges in ICT, including long-term access to digital content (PLANETS and SCAPE EU projects). In 2016, Natasa founded Intact Digital Ltd, a company that provides managed services for hosting legacy software and data to ensure digital continuity of valuable digital assets. Currently, she is serving as Chair of the UNESCO Technology Taskforce for the PERSIST initiative, working on technical and economic solutions to preserve computation and digital heritage. Natasa holds a Doctorate degree in Applied Mathematics from Carnegie Mellon University, Pittsburgh, PA, USA. Bev Bachmayer has worked in diverse software engineering, performance engineering and engineering management positions in the US and Europe during her 30 years at Intel. From 1983 to 1994 in the US, she focused on debuggers, compilers and tools for optimization. In 1995 she moved to Europe, focusing on software optimization on both the Intel Pentium with MMX and Pentium Pro processors. Working with software vendors in Europe, her key area of interest has been performance analysis and optimization of software on new computer architectures. In 2007 she accepted the challenge to develop the Intel Academic Communityand worked with universities to develop curricula for parallel programming on manycore architectures. Since 2010 she has been the working as the Intel researcher on the PEPPHER project as well as working as technical consultant for universities and software vendors. Additionally, Bev mentors female students in technology (both students and junior engineers) via MentorNet and within Intel. Bev holds a Bachelor’s degree in Computer Science from the University of Oregon and an MBA from Portland State University. She is a member of ACM, ACM-W, IEEE, IEEE Computer Society and the European Professional Women’s Association (EPWN). Olja Rastic-Dulborough is a multidisciplinary software engineer in the IBM MQ developer experience team in Hursley, UK. She works on making the 25 year old enterprise messaging software that is developed by her team members, more approachable to new users. Olja organised several IBM Women in Technology Day events that encourage female students to take up a career in technology. In her previous career, Olja worked as a freight forwarder, then completed a four year integrated undergraduate and MSc degree in computing at the University of Southampton. Ruth G. Lennon is a Lecturer in the Department of Computing in Letterkenny Institute of Technology, Ireland. Ruth’s research interests focus on enterprise scale systems. She has been a member of many technical panels and committees. She is a member of ACM, ACM-W, IEEE, IEEE-WIE and the IEEE Computer Society. She is a member of the working group developing the P2675 DevOps standard. Ruth is the ACM-W Europe Scholarship Chair for 2016 and 2017. Cigdem Sengul is a Senior Researcher at Nominet, leading the research on future Internet technologies including blockchain, identity management systems, data protection and privacy. Her main expertise is on network protocols, spanning a wide range of areas in wireless networks. Before joining Nominet, Cigdem worked and led projects in various R&D groups in the USA and Europe. She was a Senior Lecturer and Research Lead at Oxford Brookes University, between 2012-2015. Between 2008-2012, she was a senior researcher at Telekom Innovation Labs/ TUB (Technische Universitaet Berlin) where she co-led the Berlin Open Wireless Lab team to build a WiFi mesh network for the TUB campus. Her research on energy efficiency and interference in WiFi networks has been presented and demonstrated in more than 50 journal and conferences. Cigdem is a Fulbright, UIUC and Vodafone scholar. She is a passionate advocate of increasing diversity awareness in computing. She collaborates with the Micro:bit Educational Foundation to support their mission of teaching coding to school children. She is the co-author of the Networking with the Micro: bit book. Gabriele Anderst-Kotsis is full professor and head of the Telecooperation department at Johannes Kepler University of Linz. Her scientific career started at the University of Vienna where she did her Master’s and PhD in Business Informatics and Computer Science. Her research interests include performance management of computer systems and networks, workgroup computing, mobile and internet computing, telemedia and telecooperation. She is the author of numerous publications in international conference proceedings and journals and is co-editor of several books. From April 2003 to April 2007 she was president of the Austrian Computer Society. From October 2007 to September 2015 she was vice rector for research at the JKU Linz. Ralitsa Angelova professionally avoids cat videos although working full time for YouTube. Her current projects at Google focus on engagement prediction and ads selection. Trends in her previous areas of focus were entity extraction and disambiguation, and analysis of social network data to predict user interests. She holds a PhD from Max Planck Institute for Informatics, Saarbruecken, Germany. Her volunteer work includes serving on programme committees, participating in diversity events, and leading various workshops for young girls in tech. Panagiota Fatourou is an Assistant Professor in the Computer Science Department at the University of Crete, Greece, and an affiliated faculty member of the Institute of Computer Science (ICS) of the Foundation for Research and Technology – Hellas (FORTH), where she is a member of the Computer Architecture and VLSI Systems Laboratory (CARV). She has been an EcoCloud visiting Professor at the School of Computer and Communication Sciences, École Polytechnique Fédérale de Lausanne in Switzerland. Prior to joining the University of Crete and FORTH ICS, she was a full-time faculty member at the Department of Computer Science of the University of Ioannina. The academic years 2000 and 2001, she was a postdoc at Max-Planck Institut für Informatik, Saarbrücken, Germany, and at the Computer Science Department of the University of Toronto, Canada. She got a degree in Computer Science from the University of Crete, and a PhD degree in Computer Engineering from the University of Patras. Her research interests focus on theoretical aspects of computer science with emphasis on the theory of parallel and distributed computing. Reyyan Ayfer is working at Bilkent University in Ankara, Turkey and currently holds a multitude of titles including: Department Chair at the Department of Computer Technology and Programming, where she also teaches courses in Programming, Data Structures, Information Ethics and Security; Assistant Chair at the Department of Computer and Instructional Technology Teacher Education; General Coordinator of BETS (Bilkent Educational Technology Support Team) and the Director of the Institutional Relations and History Unit. In addition to her current work, she also contributes her time to international committees in the field of computer education. She undertook responsibilities in the organization committees of ACM SIGCSE’s ITiCSE conferences in the years 2008 and 2009 and she co-chaired ITiCSE 2010 the 15th Annual Conference on Innovation and Technology in Computer Science Education which was held at Bilkent, Ankara, Turkey. Additionally, she is leading the women in computing student chapter since 2005, the first international ACM-W Student Chapter. She was the Turkish Ambassador of ACM-W between 2002-2010. She received the Anita Borg Change Agent Award in 2008 and ACM Recognition of Service Award in 2010. Recently she has been elected as a council member of ACM Europe and has agreed to chair ACM-W Europe.